Are You Measuring The Right Financial KPIs? Financial KPIs are the most frequently used metrics out there. They are ideal for benchmarking, and can show your organization how well it is performing against goals, previous performance, and competitors. But if you aren’t monitoring the right performance indicators, you’re missing out on an opportunity to make smarter financial decisions. To help you avoid this, we’ve compiled a comprehensive list of financial indicators that you can begin measuring right away. 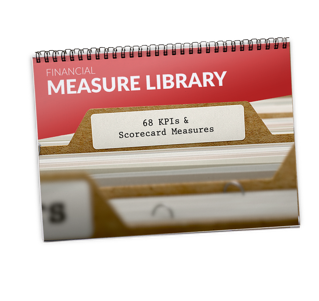 68 important financial KPIs, organized in six fiscally-specific categories. Download this extensive financial KPI list today.